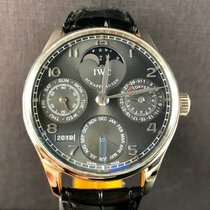 - We are an official IWC retailer. - Complete with the original box and papers. 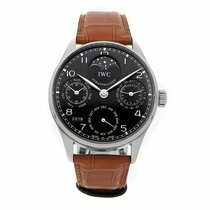 - Fully checked by our certified IWC watchmaker. Payment can be done directly to our company bankaccount by bank transfer or with the Chrono24 Trusted Checkout system. We are an official retailer for many Swiss watch brands and we have been existing for over 55-years in Breda, the Netherlands. For more information about our company see our website.